An Elgin man has been sent to prison for selling cocaine near city schools and parks. 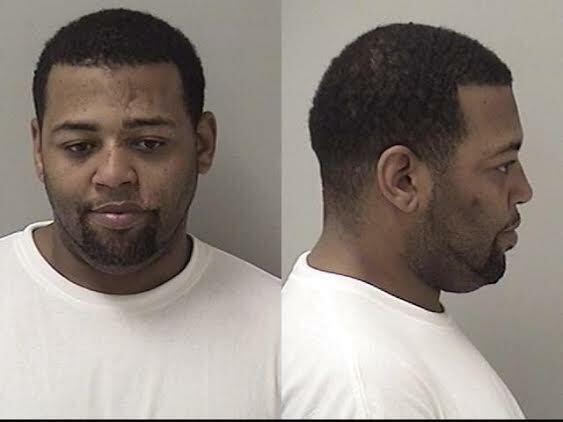 Ladell D. Walker, 35, of the 600 block of South Liberty Street, Elgin, was sentenced Wednesday, May 28, 2014, by Circuit judge Susan Clancy Boles to 12 years in the Illinois Department of Corrections. Walker was convicted Feb. 19, 2014, by a Kane County jury of two counts of unlawful delivery of a controlled substance within 1,000 feet of a school and two counts of unlawful delivery of a controlled substance within 1,000 feet of a park, each a Class 1 felony. On Oct. 9, 2012, Walker coordinated the delivery of cocaine by co-defendant Carolyn Williams, 50, of the 200 block of Douglas Avenue, Elgin, to an undercover police officer in the 1500 block of Mulberry Lane, which is within 1,000 feet of Cornerstone Park in Elgin. Oct. 11, 2012, Walker coordinated the delivery of cocaine by co-defendant John W. Johnson, 56, of the 900 block of North Flora Drive, Elgin, to an undercover police officer in the 1500 block of Mulberry Lane, which is within 1,000 feet of Cornerstone Park in Elgin. On Oct. 23, 2012, and Nov. 5, 2012, Walker coordinated the delivery of cocaine by co-defendant Silvia Magallanes, 46 (d.o.b. 1-20-1968) of the 100 block of North Root Street, Elgin, to an undercover police officer within 1,000 feet of Ellis Middle School in Elgin. The deliveries were part of an undercover operation. Walker, Williams, Johnson and Magallanes did not know the cocaine was being purchased by an undercover officer. Walker was arrested and charged as part of a 2013 drug sweep conducted by the Elgin Police Department. According to Illinois law, Walker is eligible for day-for-day sentencing. Walker was given credit for at least 363 days served in the Kane County jail. “Mr. Walker’s attempt to hide in the weeds while convincing others to assume all the risk clearly backfired. The jury’s verdict three months ago and the judge’s sentence this week mean Mr. Walker will be held accountable for pushing his poison into the community,” Kane County State’s Attorney Joe McMahon said. Magallanes agreed to a sentence of 30 months of probation in exchange for a guilty plea to unlawful delivery of a controlled substance, a Class 2 felony. The cases against Williams and Johnson are pending. The next court appearance for Williams is 9 a.m. June 18, 2014, in Courtroom 311 in front of Circuit Judge Karen Simpson. Johnson’s next court appearance is set for 9 a.m. June 26, 2014, in Courtroom 311 in front of Judge Simpson. The charges against Williams and Johnson are not proof of guilt. Williams and Johnson are presumed innocent and are entitled to a fair trial in which it is the state’s burden to prove guilt beyond a reasonable doubt.